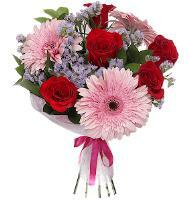 With a global flower network, our well established overseas flower delivery company can offer international flower deliveries by hand through one of the best flower network in Kyrgyzstan and also internationally. 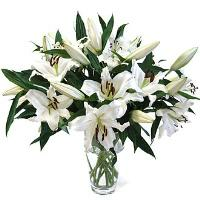 The ultimate aim of our Kyrgyzstan florists is to provide an excellent, quality service to both local and customers overseas. 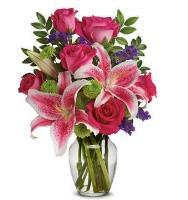 Our Kyrgyzstan flower shops provide a wide variety of flower gifts ranging from roses, assorted bouquets, attractive flower arrangements, countless flower designs, indoor plants all put together professionally by our team of skilled florists in Kyrgyzstan. 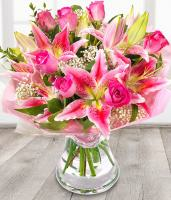 Spice up the celebrations of your loved ones in spectacular style by sending amazing flowers and gifts from Overseas flower delivery to Kyrgyzstan. 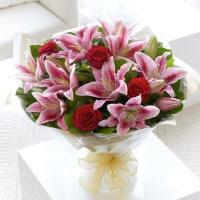 We are the leading online Kyrgyzstan florist with flower delivery network all over Kyrgyzstan. 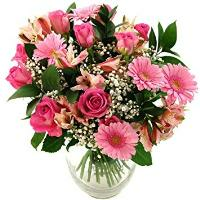 You can send beautiful flowers, stunning flower bouquets, Chocolates, Wine, Sensational Gift Hampers & more flowers and gifts to Kyrgyzstan. 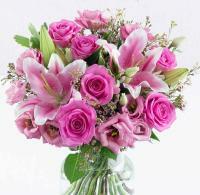 Flowers to Kyrgyzstan can be sent Next day all over Kyrgyzstan. 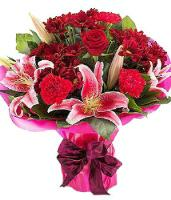 We also deliver Birthday gifts to Kyrgyzstan, congratulations flowers and gifts to Kyrgyzstan, Anniversary flowers in Kyrgyzstan, Valentine’s Day flowers, Wedding flowers to Kyrgyzstan, New Year Gifts and Flowers to Kyrgyzstan for any other occasion on your desired date of delivery. 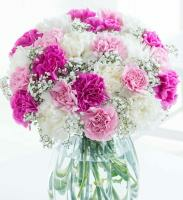 Please allow 24 hours for delivery when you send your order in Kyrgyzstan. 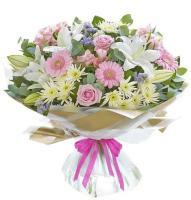 Please use middle price for deliveries outside Bishkek due to long distnaces. Rose orders are all wrapped, not arranged. Please inquire first or obtain second choice for fruit or gourmet baskets. 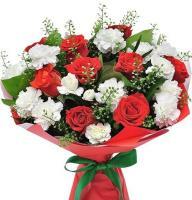 Send Christmas Flowers to Kyrgyzstan - Christmas are the most popular holidays for sending and receiving flowers in Kyrgyzstan. 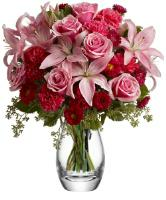 Flowers and plants have long played a special role in holiday celebrations and are as personal and individual as the people celebrating them. 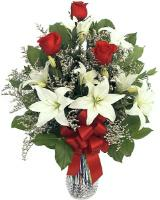 Kyrgyzstan florists provide Christmas flower delivery and Holiday arrangements, bouquets, gift baskets, fruit baskets, plants, wreaths, Poinsettias, Christmas Centerpieces, gifts and more for delivery throughout Kyrgyzstan. 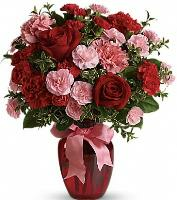 Valentines Day Flower Delivery in Kyrgyzstan - Send flowers to Kyrgyzstan and surroundings for Valentines to your loved ones. 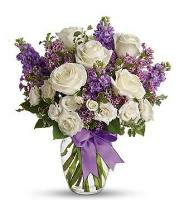 Send a mixed flower bouquet or a bouquet of roses to the one that you love with our skilled Kyrgyzstan florists which will deliver personally your order with a smile on their face. 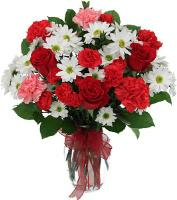 Kyrgyzstan florists deliver all Valentines day order from 9.00am till 7.00pm and they cannot guarantee any specified timings. 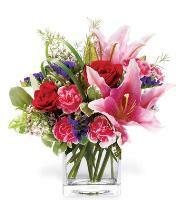 Mother's Day is almost here and what would be more perfect for Mother's Day than a wonderful flower arrangement handled out by Kyrgyzstan florists. 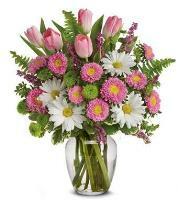 Overseas flower delivery have a wide variety of floral arrangements, bouquets and so much more. 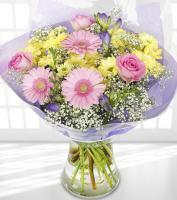 With so many Mother's Day flowers and bouquets to choose from, you are sure to find that specialgift for you special Mum. 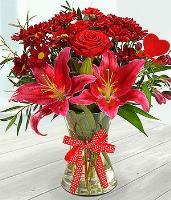 In order not to be disappointed we recommend you to purchase your flower 3 days prior Christmas, Mother's day, Easter and Valentines day. 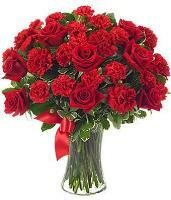 When sending flowers to Kyrgyzstan, one must provide a telephone number and where necessary a mobile number of the recipient in Kyrgyzstan.